Tamper-resistant medical security paper prevents unauthorized copies and safeguards confidential documents. Use for prescription pads, MRIs, CAT Scans and medical tests. Standard medical security paper offers six security features to prevent copying, erasure and counterfeiting. 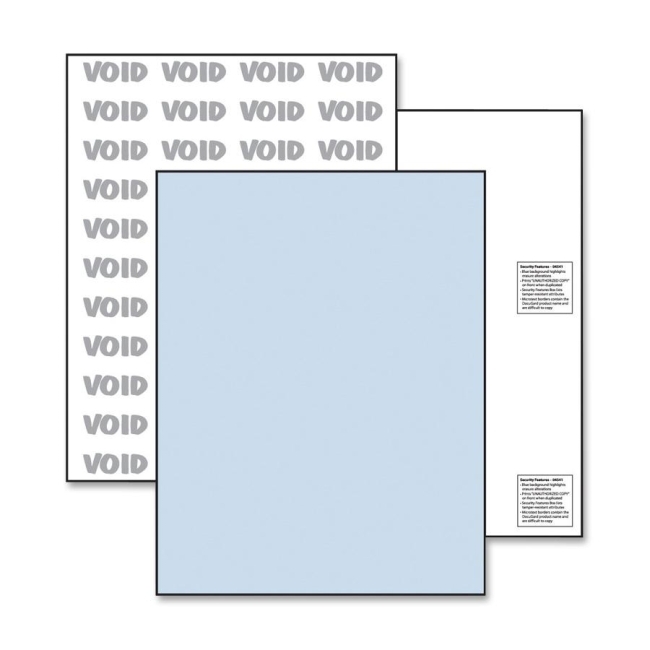 Pantograph prints "VOID" on the front when duplicated. Printed watermarks on back can be seen when held up to a light source. Coin-reactive ink on back side changes color when scratched with a coin. 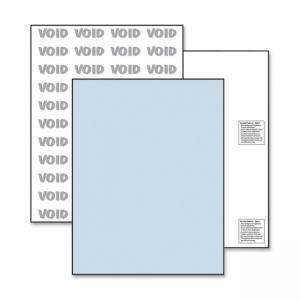 Microtext borders contain the DocuGard product name and are difficult to copy. The erasure-resistant background prevents erasure. The Security Listing on the sheet is designed to prevent counterfeiting. Paper exceeds federal guidelines set by the Centers for Medicare and Medicaid Services (CMS) to reduce the risk of fraud.